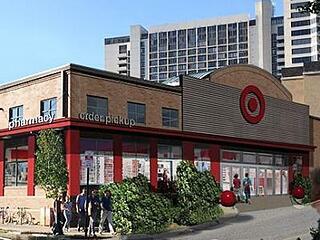 Target has a bull's-eye on your neighborhood. In an effort to increase market penetration (and comply with local zoning regs), the No. 2 discount chain is focusing on a smaller-footprint store format that can squeeze into strip malls and city streets where its gargantuan big-box flagships can’t. The retailer operates several so-called flexible urban formats, including TargetExpress, its newest, and at about 20,000 square feet, its smallest; and CityTarget, which can range from 80,000 to 160,000 square feet. The stores will feature localized assortments, such as tech accessories in Cupertino, Apple’s headquarters town, and “dorm essentials” at the Penn State store, to be located just off campus. This is an excerpt from an article posted on Twice.com. For complete article,click here.